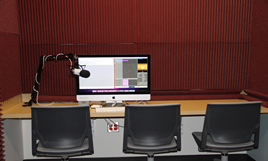 The Studio is the Libraries newly re-imagined area that provides specialized services and tools for creating and editing graphics, video, audio, and multimedia projects. Our goal is to provide the Texas A&M University community with multimedia tools, expert assistance, and educational programming to support the creation of media-enriched instructional projects. 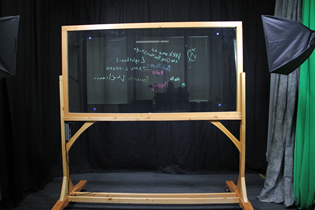 The Lightboard can be used with the One Button Studio equipment to create short videos. Patrons must reserve the One Button Studio and request the Lighboard. 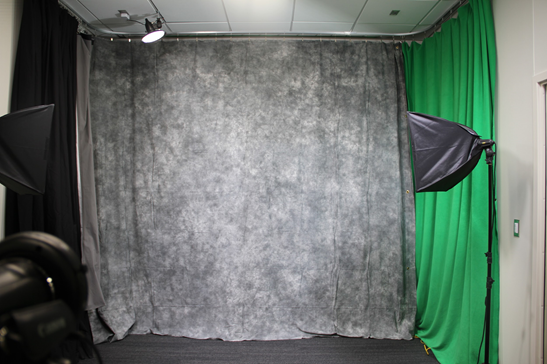 2 rooms with Mac Minis to record audio and other multimedia projects. The rooms are not sound proof but it does allow individuals to produce and create high quality podcast. 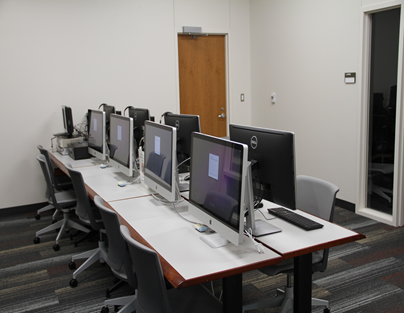 Our digital Media Lab offers access to specialized software and equipment to help you develop multimedia presentations, projects and portfolios. Our PC computers are equipped with multimedia editing software. 32GB RAM and 3TB of storage.